According to the report, which examines the opposing positions taken by the EPA and an international cancer research agency on glyphosate-based herbicides, the EPA has disregarded substantial scientific evidence of genotoxicity associated with weed killing products such as Roundup and other Monsanto brands. Genotoxicity refers to a substance's destructive effect on a cell's genetic material. Genotoxins can cause mutations in cells that can lead to cancer. The paper was authored by Charles Benbrook, a former research professor who served at one time as executive director of the National Academy of Sciences board on agriculture, and was published in the journal Environmental Sciences Europe. It is based on Benbrook's review of EPA and IARC records regarding the types and numbers of glyphosate studies each organization evaluated. Benbrook testified as an expert witness in the first lawsuit to go to trial against Monsanto over claims its glyphosate herbicides cause cancer. The plaintiff in that case, Dewayne "Lee" Johnson, won a unanimous jury award of $289 million last year that the judge in the case cut to $78 million. Thousands of additional cancer victims have sued Monsanto and the second trial begins Feb. 25 in federal court in San Francisco. Benbrook is also expected to testify for the plaintiff in that case. In the new analysis, Benbrook is critical of the EPA's scrutiny of glyphosate herbicides, noting that little weight was given to research regarding the actual formulations sold into the marketplace and used by millions of people around the world. Instead, the EPA and other regulators have mostly pointed to dozens of studies paid for by Monsanto and other companies selling glyphosate herbicides that found no cancer concerns. 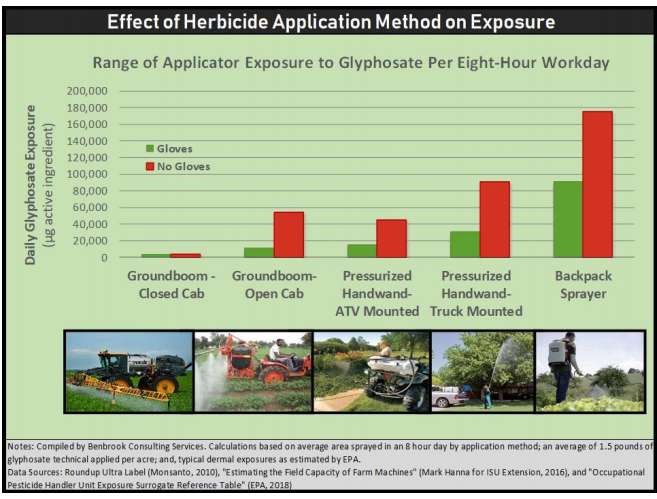 The EPA has given little attention to several independent research projects that have indicated the formulations can be more toxic than glyphosate alone, according to Benbrook. Benbrook's analysis reports that over the last three years at least 27 additional studies have been published addressing possible mechanisms of genotoxic action for glyphosate and/or formulated glyphosate-based herbicides and all but one of the 27 studies reported one or more positive result. There were 18 positives arising from DNA damage, six associated with oxidative stress, and two with other genotoxicity mechanisms, his paper states.